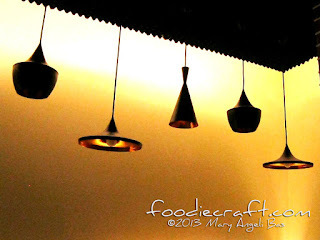 In a city full of milktea shops, how do you make your own milktea brand stand out? 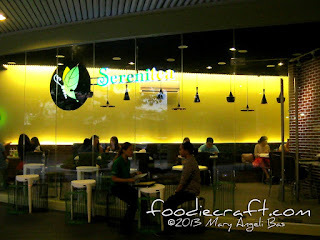 This was the first question I asked from one of the heads of the newly opened Serenitea branch in the Visayas. 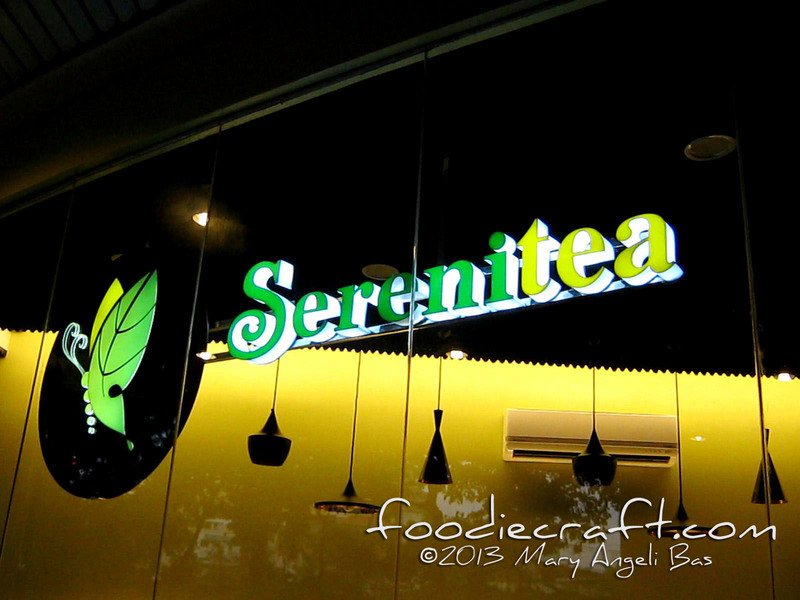 Mr. Enriko Luk, head of the first Serenitea branch in the Visayas pointed out the taste of its product. 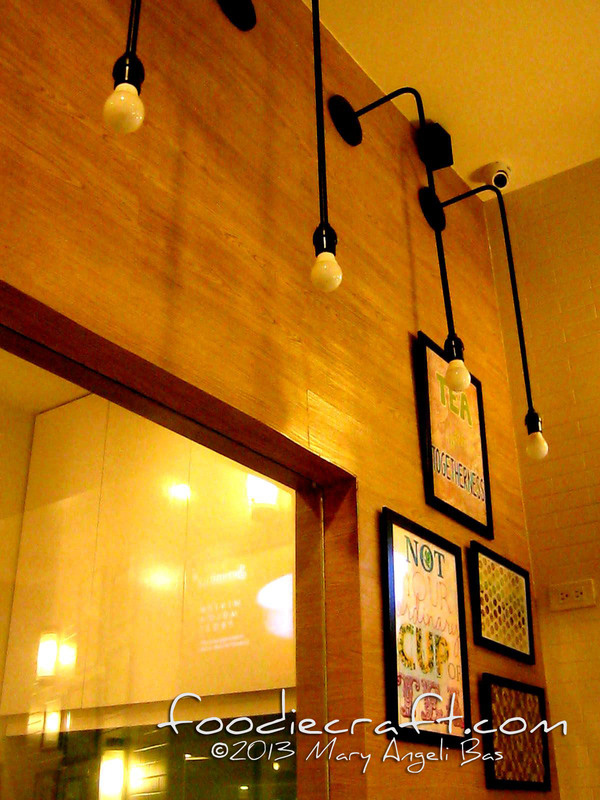 He said that their teas possess traditional taste with a modern and edgy twist. It was very surprising that of the many months milktea is having the spotlight, Serenitea just opened a branch in the province. 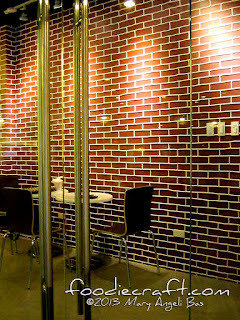 Asked why, Mr. Luk elaborated the longitivity of time the owner of the brand and the franchiser had make a deal since the brand wasn't open for franchising. 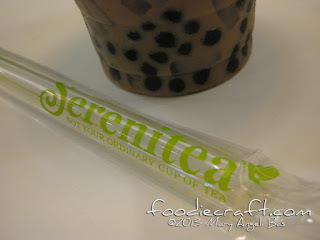 On a personal note, there are two things that I think makes Serenitea distinct from other milktea shops in the metro. First is its location. 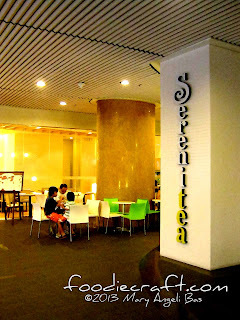 I find it the most accessible in Cebu that has its own shop/kiosk. 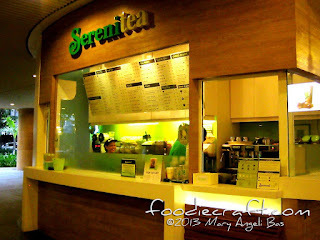 While other shops require you a minute ride or a long walk, Serenitea is just a few meters from the main street. 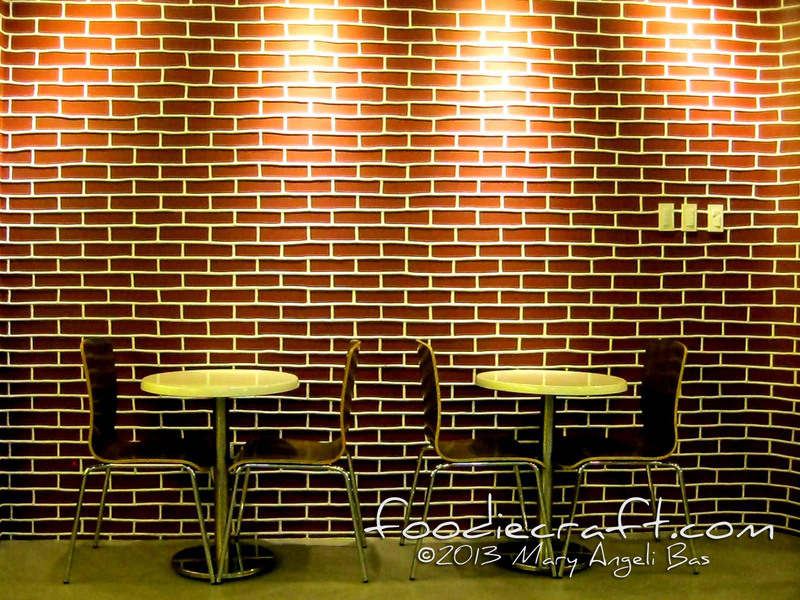 Second is the Jumbo size. 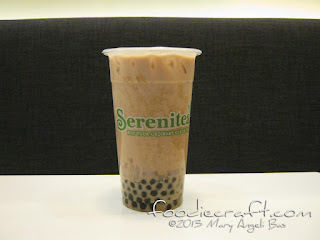 As far as I've known, Serenitea is the only brand that offers drink at Jumbo cup that treats you a liter of milktea goodness. Jumbo-size cups are only available on special occasions *Christmas, Valentines etc.) 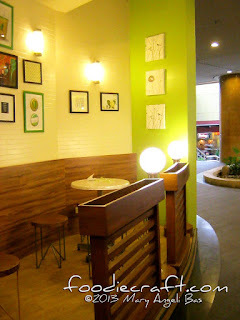 on random days (surprise promos) and every March which is the month the branch first opened. 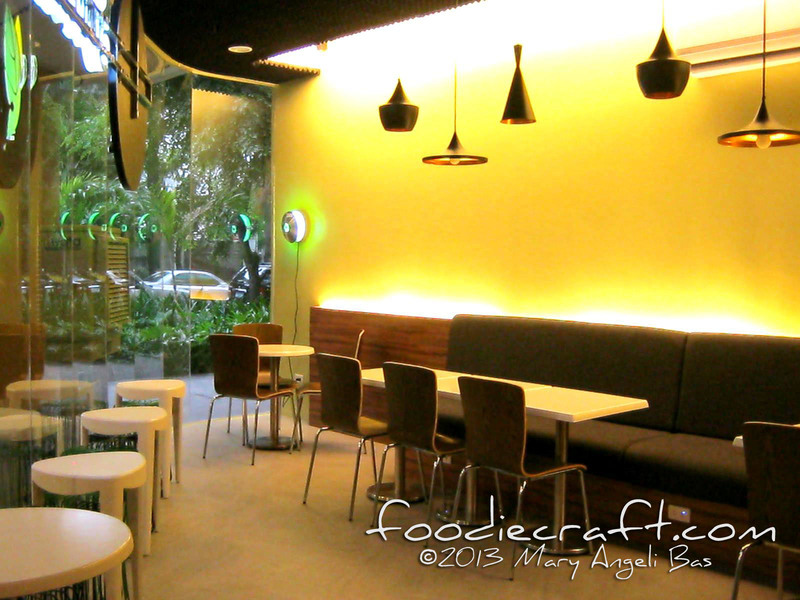 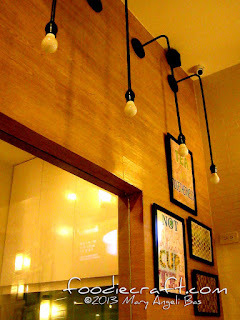 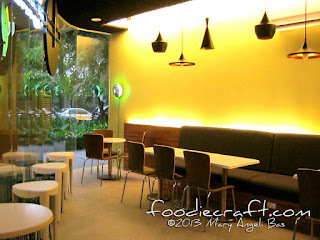 Serenitea Cebu highlights its signature colors of green and yellow in all its furnishings. 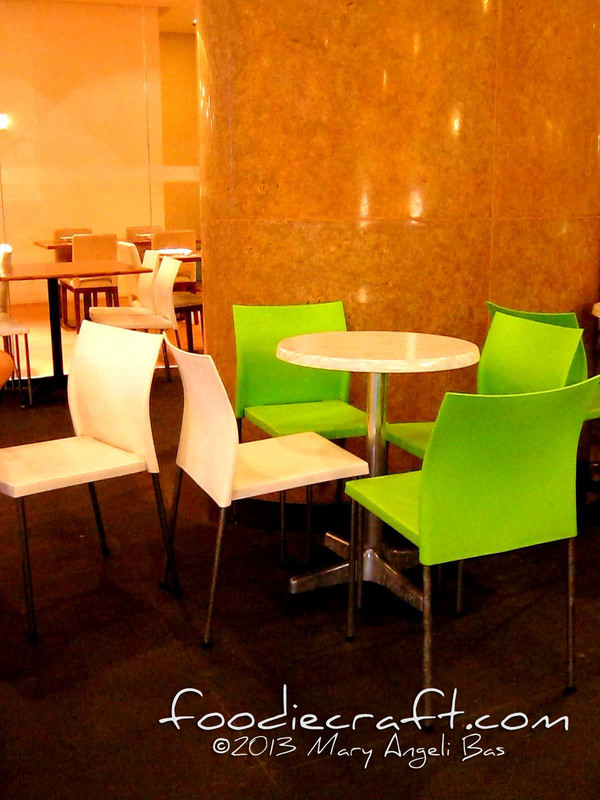 There are two set-ups where customers can lounge: the air-conditioned room or simply outside. Black egg trays dominate the ceiling, not for aesthetics but for sound control. 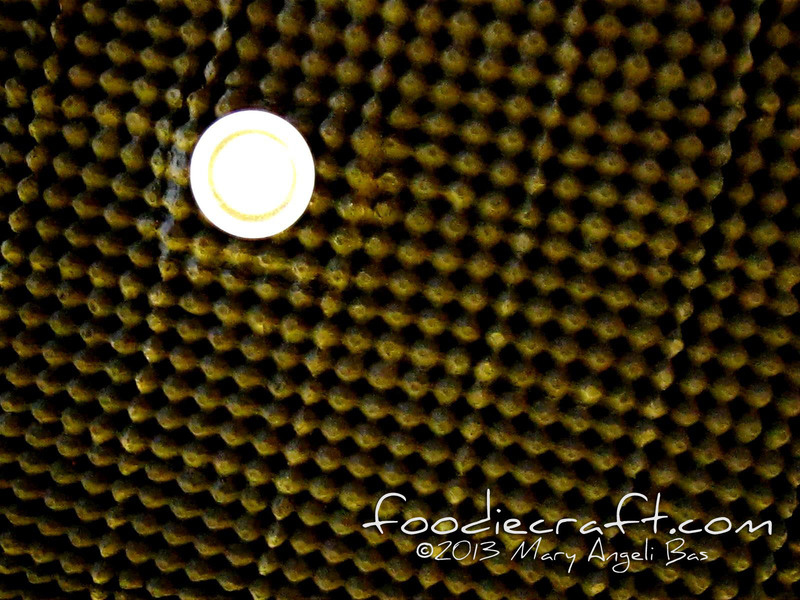 It's from this shop that I learned egg trays make up a good alternative of paddings. 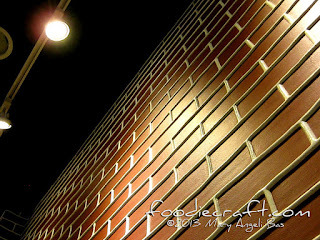 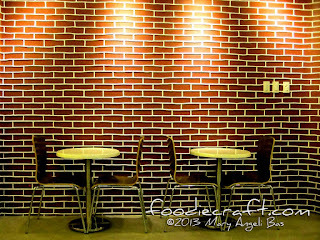 I like the brick walls although it's difficult to comprehend how bricks relate to a milktea shop. Milktea container flaunts an illustration of a green butterfly which is the emblem of the business. 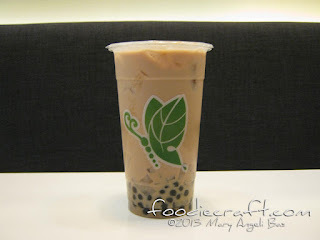 This one is Hokkaido Milktea. 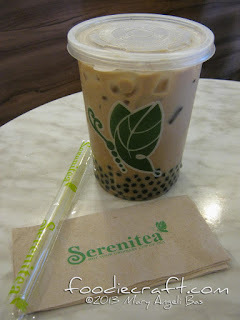 The taste was good and tricky to elaborate. The sinkers made a good flavor collaboration, clear enough to me. 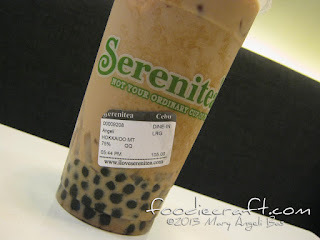 Let me just say that I'd go for this drink again the next time I visit the place. Serenitea is open from Sundays to Thursdays at 11am - 12mn and Fridays to Saturdays at 11am - 1am. 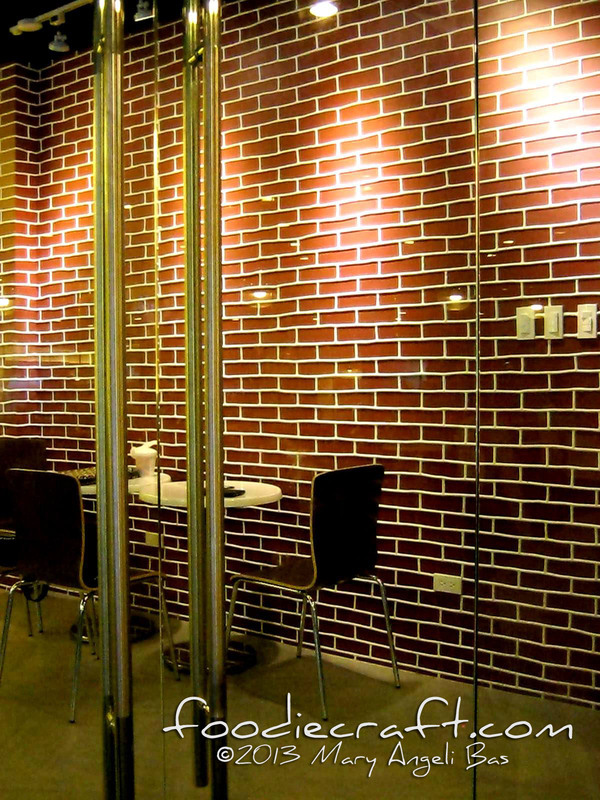 It is located at G/F Calyx Centre, W.Geonzon Street Corner J. Abad Santos, Cebu IT Park. For inquiries call 236-3228.